Here's some of the stuff about THE RAVER STORIES PROJECT on the Internet! ORDER THE BOOK ON AMAZON NOW! 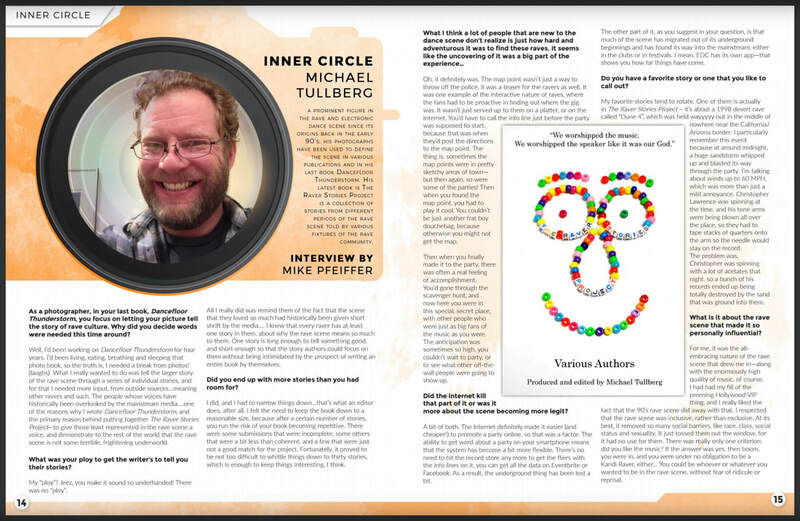 Editor Michael Tullberg's RSP interview on Insomniac.com's WIDE AWAKE STORIES podcast above, and Neon Owl's web site below! Here's the original Call For Submissions video we posted to get your fantastic stories! Time-lapse of the book cover photo session! The great DJ Jason Bentley shows his support of THE RAVER STORIES PROJECT! The great DJ DAN showing support for The Raver Stories Project!! And here's the one and only DJ Holly Adams from KCRW! The legendary Frankie Bones, with a fantastic quote! DJ Wally Callerio showing the love! Check out the great new interview with Michael in the ISSUU version of RaverMag! Look at this quadruple endorsement for The Raver Stories Project! (L - R) Dave Aude, Swedish Egil, DJ Thee-O and Bret Wallace! And here's another one, from the luscious Suzie del Vecchio! Oh, my goodness...it's "NGTV"s Carrie Keagan!! This is AWESOME, and so are you, Carrie!! 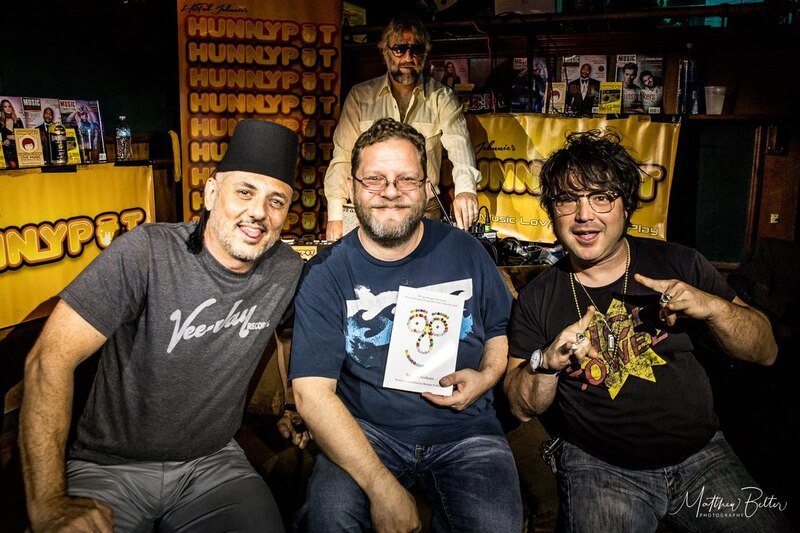 And here's a link to yet another great podcast interview on Hunnypot Internet radio! 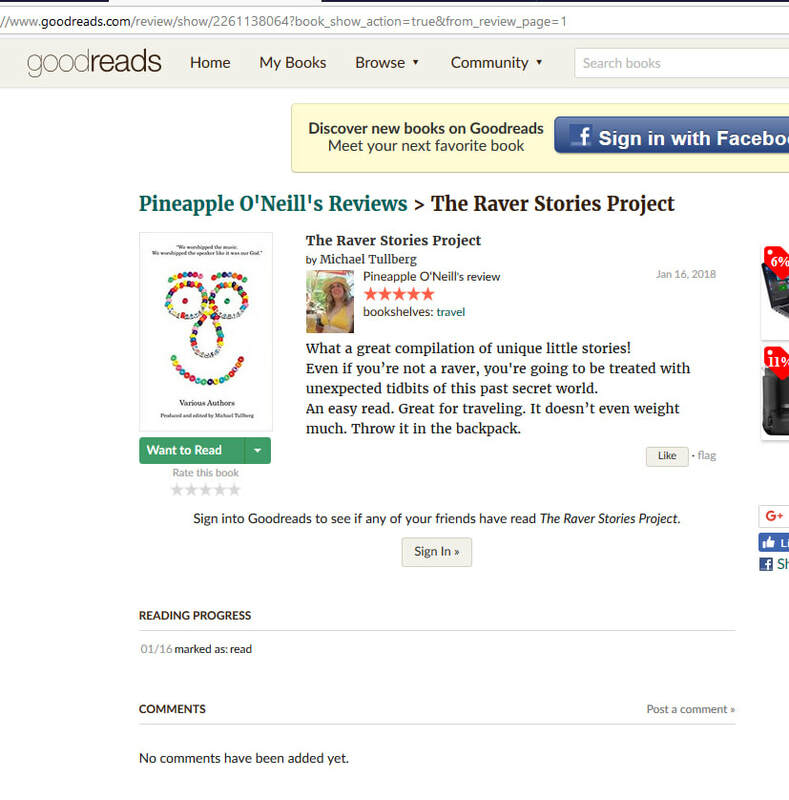 And check out the great new review that author Helen O'Neill posted about the book in Goodreads!